Leading Manufacturer of sheet metal fabrications of heavy construction equipment, industrial sheet metal fabrication services and customise sheet metal fabrication services from Ahmedabad. Leveraging on our experienced dedicated workforce, we have become the preferred fabrication service provider and have our facilities by installing the CNC Laser cutting and CNC Bending Machine and the Welding Machine. We provide industrial precision fabrication services and sheet metal fabrication services depending industrial requirements and . Our fabrication services are highly reliable and are also affordable at industry in economical prices for Volume Business and long term Tie Up. 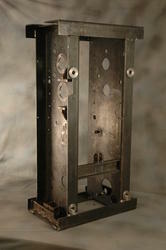 We have a complete devout in rendering high quality Custom Sheet Metal Fabrication Services. We have developed the state of art design, manufacturing and production divisions that enable our technology experts to bring forth client specific designs of sheet metal components with assurance of precise fabrication. 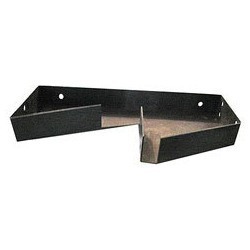 Our offered fabrication procedure includes highly advanced techniques for cutting, forming, bending and finishing of sheet metal in varied thickness and sizes. Further, the offered services are rendered under deep scrutiny of our quality experts and can be availed at a nominal price.